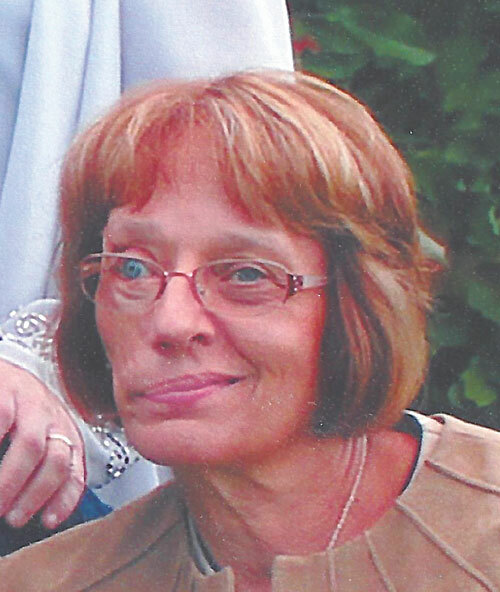 Janis M. Wickham, 63, of Upper Sandusky, died Thursday, April 11, 2019, at her residence. She was born April 2, 1956, to Herbert A. and Evelyn I. (Smalley) Walton. She married Glenn Wickham April 2, 2000, and he survives in Upper Sandusky. Also surviving is her daughter Rachel (Randy) Mercer of Upper Sandusky; her granddaughter, Mollie Mercer; stepgrandchildren, Morgann and Reid Mercer; and sisters, Sharon Park, Marion, and Brenda (Lynn) Rothlisberger of Upper Sandusky. She is preceded in death by her parents; brother, Allen Walton; brother-in-law, Richard Park; and sister-in-law, Betty (Newell) Walton. Janis was a graduate of Upper Sandusky High School. She was an LPN and surgical nurse at Wyandot Memorial Hospital for 37 years, and helped her husband on the farm. She was a Sunday School teacher, Bible School teacher and piano teacher. She was an amazing mother, grandmother and mother-in-law. She enjoyed sewing and was an awesome cook. Janis was a member of the Indian Mill Antique Club, Secretary for Mid-Ohio Antique Association, past secretary for Wyandot County P.E.R.S. and volunteered with Share-A-Thon at WXML Christian Radio 90.1. Visitation will be 1-5 p.m. Sunday, April 14, 2019, in Bringman Clark Funeral Home, Upper Sandusky. Her funeral will begin at 10:30 a.m. Monday, April 15, 2019, at Little Sandusky Bible Church, Harpster, with Pastor Tim McGuire officiating. Interment to follow in Pleasant View Cemetery, Sycamore. To share a memory or send a condolence please visit www.BringmanClark.com.